We’re rounding up the middle stretch at the start of the new month! Welcome once again to Week 5 of the 2018 Anime Seasonals, The Winter Games. The blog collabo project between myself, AstralGemini, Irina, and TPAB — where I get to practice both my episodic blog posting as well as my jokes. I mentioned last time that we were in the middle of restructuring our points system, and we’ve since decided on assigning different point values to different kinds of predictions. It’s still anybody’s game (or so I tell myself), and a good week of predictions from anyone can shake the game up significantly. There’s also enough of an incentive now to go for broke with some crazy predictions which is nice. We’re in a tight spot, but that’s just what I’d expect from such sharp individuals such as these fine fine people. Let’s try to make a comeback of our own shall we? tl;dr: “I don’t know why I tried to go the drama angle with this sickly sweet show. Lemme get this one out of the way while I still have your attention. The line here, in Japanese, is “bocchi de bocchiyama nobori“. The first bocchi is taken from hitoribocchi, meaning by one’s self. 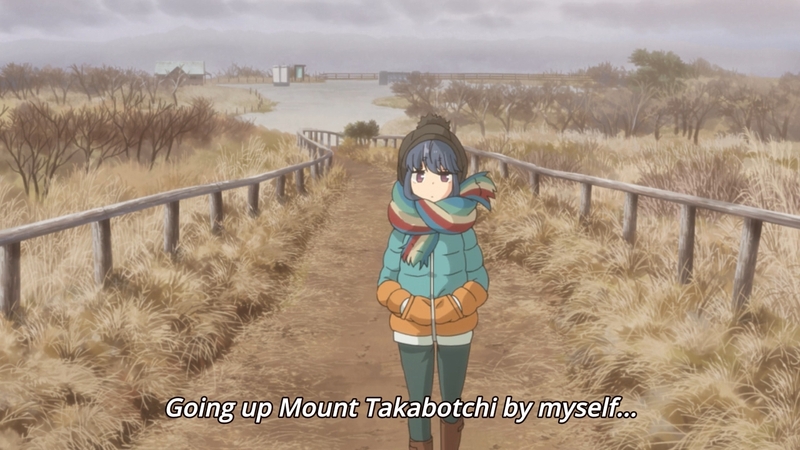 Bocchi is also a homonym (words that sound alike or are spelled alike, but have different meanings) of the bocchi in Takabocchi, which is the camp grounds where Rin finds herself at in this episode. Jokes like this are lost when you translate it word for word (as was the case here sadly), and I at least felt that it was a waste of a pretty good pun. Well, not that I could do a better job at making the joke work myself. Juxtaposed with Rin’s scenes were the OutClub trio’s arrival over to their campsite — but not without a mishap or two of their own. I mean, I don’t blame ’em, I’d feel sleepy after a nice soak too (plus I wanna try fried/boiled eggs!). 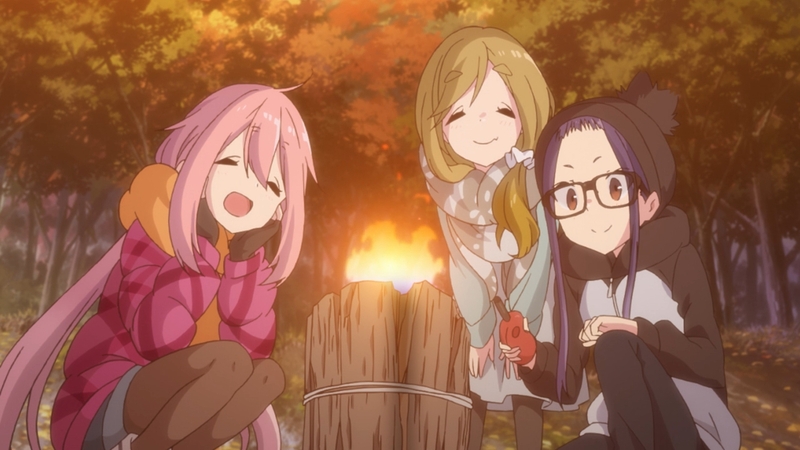 In contrast to Rin’s tent building sequence in the earlier episodes, we get a slideshow of Nadeshiko, Chiaki, and Aoi setting up theirs; which I found to a bit disappointing, but only for the sake of comedic value (though I guess we’ve already seen them put up that very same tent in the second episode anyways). On the subject of predictions, I struck out this week with the two that I made last week, so no Yuru Camp points for me this time around. 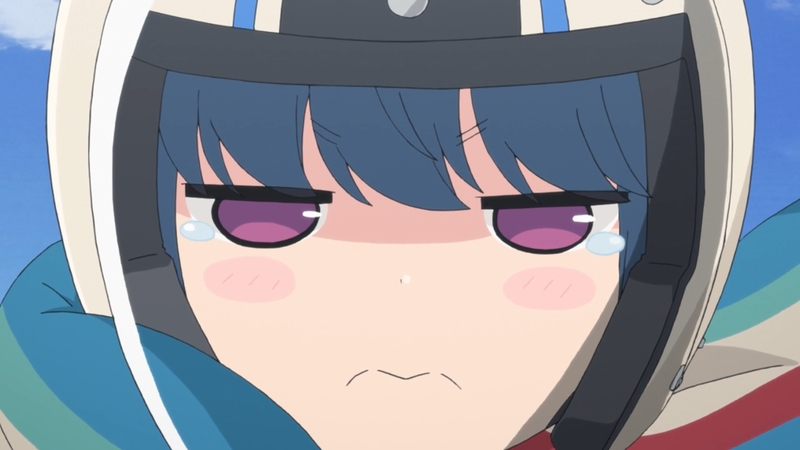 I really thought Rin would grow melancholic at some point during the episode as a lot of things weren’t working out so well over on her side. 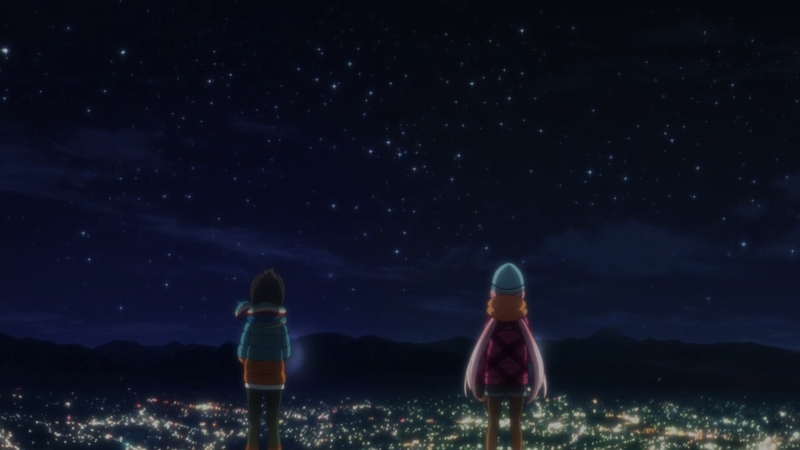 Instead what we got was still a dramatic (albeit in a sweet way) scene between Rin and Nadeshiko with them sharing their respective views of the night sky with each other. On a related note, the theme of “we’re all under the same sky”, really is prominent in Japanese works I realize. Obviously not me. 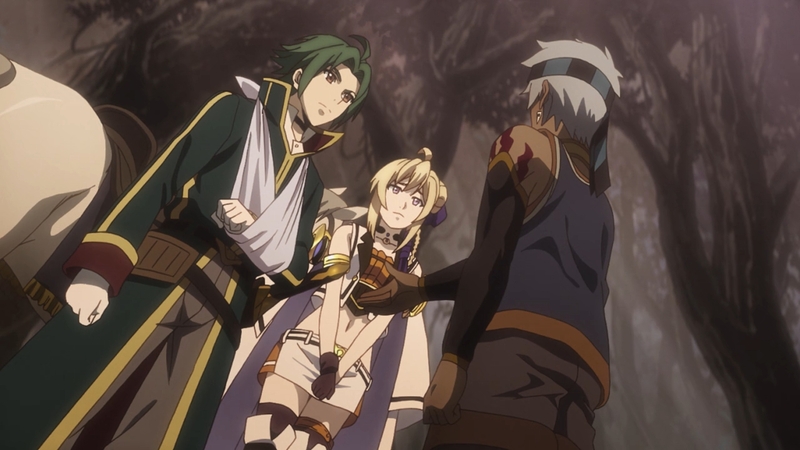 I keep forgetting that Grancrest, at its very core, is looking to lean more towards very conventional (almost Western) fantasy/high fantasy themes — which really does throw me off more often than not as this particular setting isn’t something you see whole lot of in anime in general. Well, at least not in the non-Isekai side of things (’cause anything and everything goes on there at this point). For all my misgivings for its shaky narrative, Grancrest’s RPG-esque world has become very inviting with each week — to the point where I almost wish this was a game that I was playing instead. 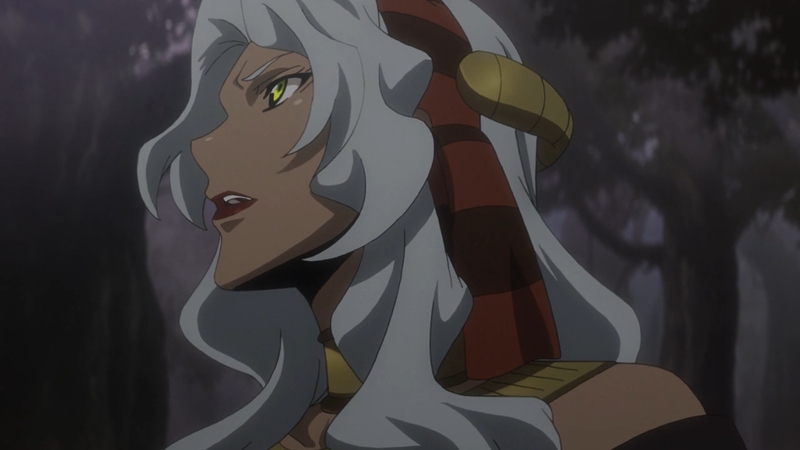 I mentioned trying to draw a parallel between Grancrest and Game of Thrones, and yeah, so far Theo has been working a very Jon Snow-like campaign as far as his actions are concerned — save for the fact that Theo’s a self-made man for the most part. I respect that about him actually; I mean, the guy chose his own last name, which is more than I could say for ol’ Lord Snow (heh). Yeah, I thought the library scene was in some hallway for some reason, so I was hella confused when this episode started out. I even had to check afterwards just to make sure (lol). 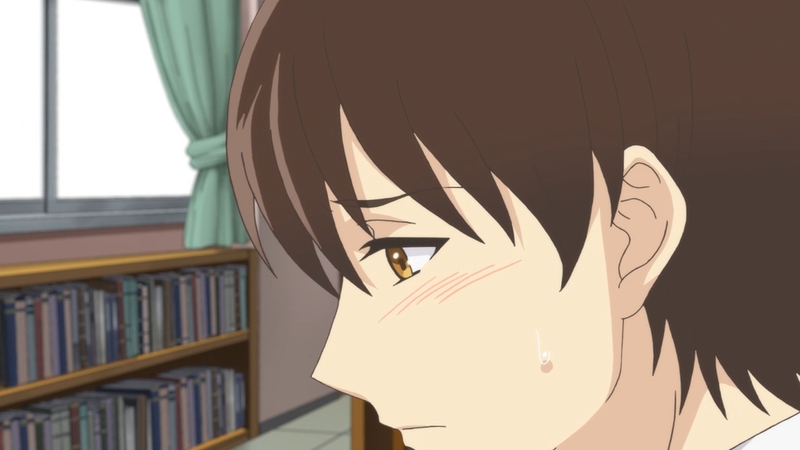 It’s my fault for not noticing all those books last time xD That and, well, how much do I really want to remember from last week’s Sanrio Danshi anyway? I’m joking of course. Partly. But I digress. 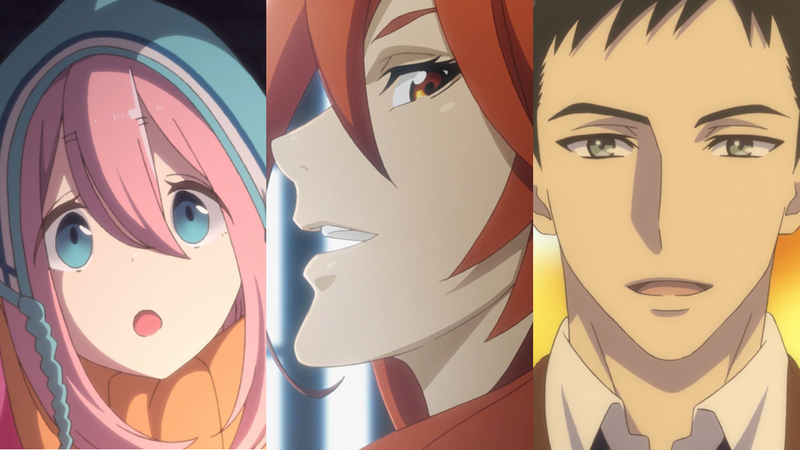 Episode 05 is now in the books for this gap ikemen (…is this a thing?) show and it’s actually starting up an arc that I can get behind. 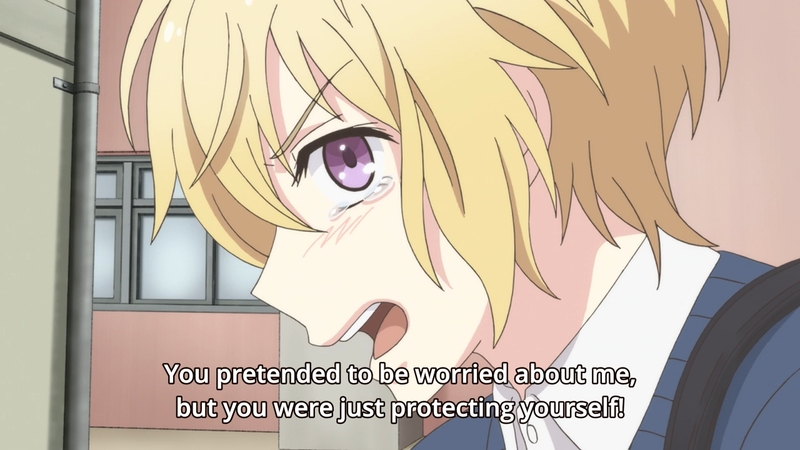 We’re introduced to the last “Sanrio Boy” Nishimiya Ryou — a blonde little bocchan from a household made up of all women, who outright despises his own effeminacy (because he’s born “cute” and that’s apparently the worst thing in the world /sarcasm). As a direct consequence to his insecurity he projects his hatred of all cute things towards the trio of Kouta, Yuu, and Shunsuke. The president intervenes before things escalate any further …Could you imagine a fist-fight born out of people arguing over Sanrio. It’s like, the expression “people have fought over less important things” kinda doesn’t apply here, as rare a occassion as that is. 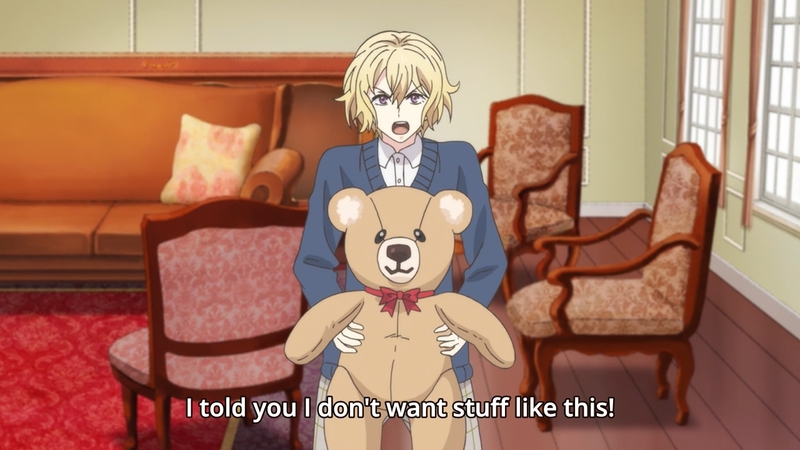 Of course, Yuu’s issue was not so much about Sanrio, but of people trampling over one person’s interest — and boy Yuu just can’t catch a break with this kid. Ryo is rude for the sake of being rude, and what would’ve been the backdrop of his otherwise deep-seated distaste for feminine things is largely overshadowed by how much the show is playing up his admiration for the Student Council President; whose name escapes me at the moment, but I feel like if I check now, I’ll lose the momentum I have writing this post (xD). 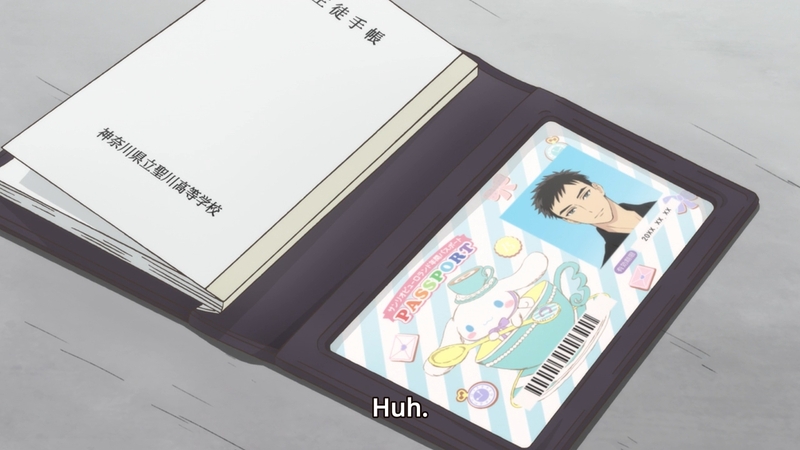 But for what it’s worth, the Prez is looking to be my favorite Sanrio Boy (…Oh God did I just say that?). On the one hand, I do like that we finally get a two-episode arc, but why does it have to be with that blonde prick? I mean, everyone else so far had it much worse than him (which doesn’t say much if at all) and here he is picking fights with the most harmless high school crowd possible. I get being vehemently against girly things (not that I sympathize, but more like, I understand where it comes from) but I don’t really know how you could reconcile with this character anymore. 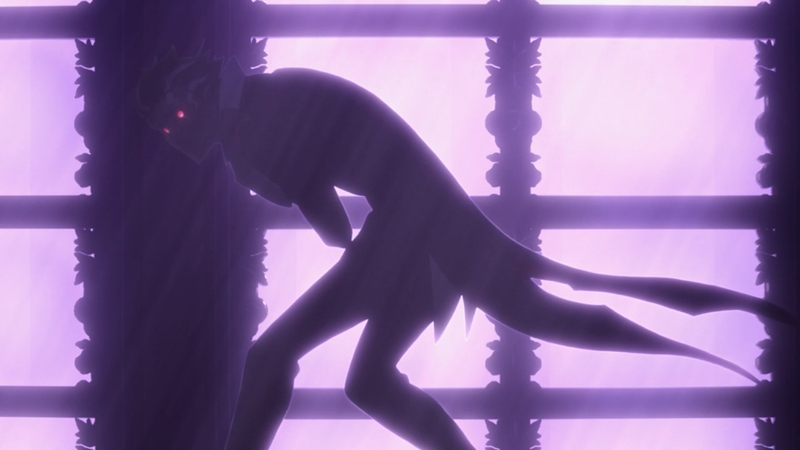 He’s gonna turn a corner next episode, that much is for certain, so I guess we’ll see. That’s our run for the week! As always, thanks for tuning in to our little collab, and if you haven’t yet; check out these guys’ posts as well! I mean, you never know xD but even I’m a bit surprised at how believable this sounds, haha! Oh, I thought Nadeshiko and the OutClub were going for a pun with the samue and samui, but I guess I missed that one. Good catch! Uohh, must’ve missed the ‘samui’ one on my end, haha!